This is my second design using the Drunkard's Path block. The first one was red and white (see it here). 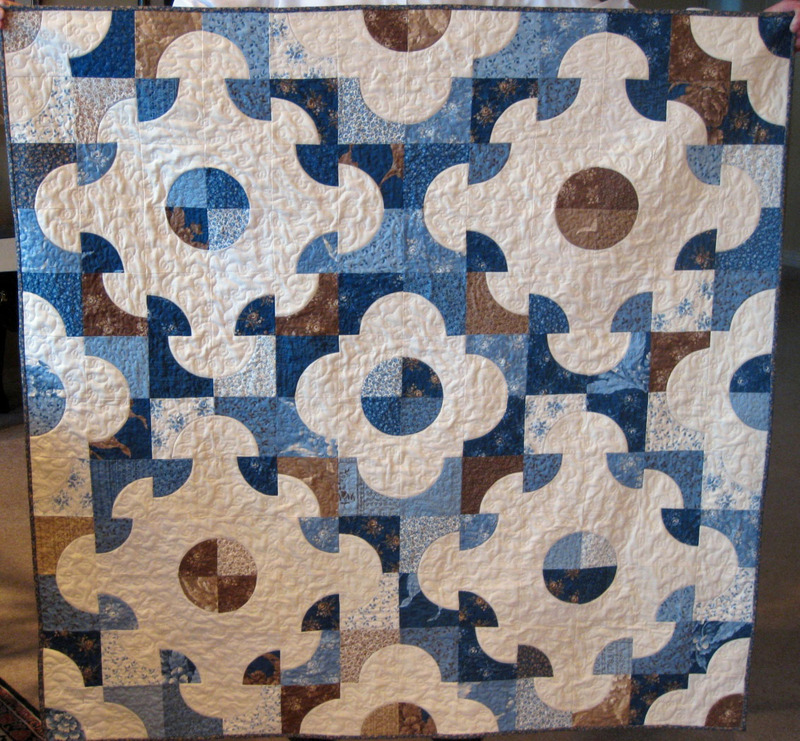 I chose Blueberry Crumb Cake by Blackbird Designs for Moda, along with off-white for contrast. As before, I used Quiltsmart interface for the Drunkard's Path blocks (did not feel like sewing curves...). The blocks come together nicely, and are finished off with a tiny zigzag stitch around the edges, hardly noticeable because it is done with monofilament. 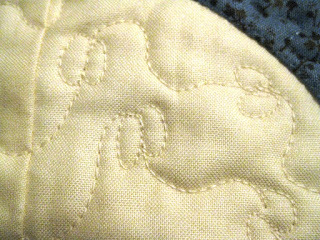 I must have been thinking about bean sprouts when I quilted it! 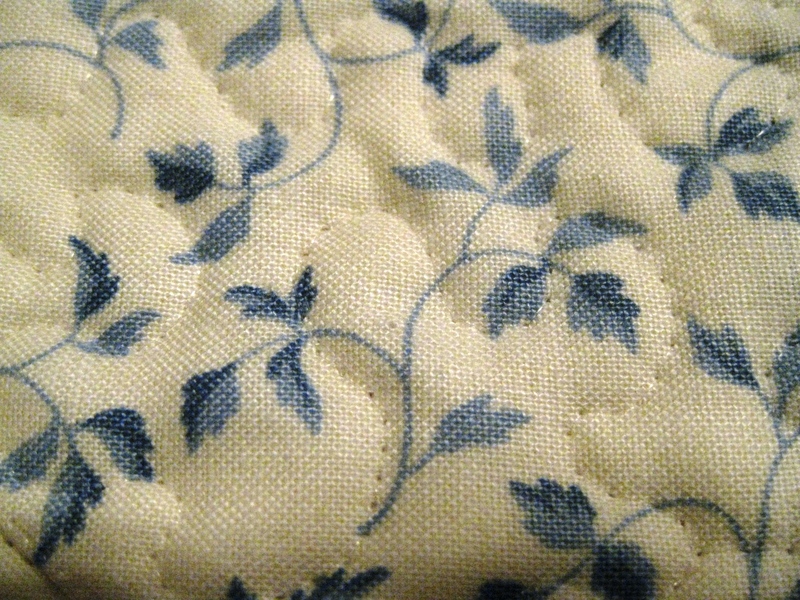 All the prints were quilted with monofilament. I really liked the design, though, and may try it again with two colors.What do you think? Olá!Ficou maravilhosa!!! !E azuis divinos.Vá começar a terceira...Boa FÉ.BeijoGRANDE.